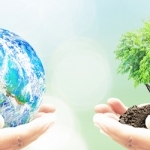 Does your business practice sustainability? Earth Day is fast approaching (April 22nd), and what better time for companies to look at ways to “green” their operations. Practicing sustainability is more than simply tossing your empty water bottle in a recycling bin. Sustainability at the enterprise level is a multi-faceted process that can be facilitated by partnering with a Managed Print Services (MPS) provider. One area that provides immediate results in terms of not only saving the environment, but increasing productivity, lowering energy use, reducing waste and saving money is your office print environment. 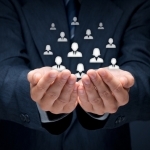 Here are a few ways working with a Managed Print Services provider can help! First Steps – Where Are You Currently? A Managed Print Services provider will first conduct a complete assessment of your current print environment and print practices. They will evaluate such areas as printer efficiency, usage, consumables, recycling practices and energy use to determine where you currently stand. Upon completing their assessment, they will work to optimize your printer fleet. Older devices can be much less energy efficient than newer models. Your MPS professional may suggest upgrades to your fleet incorporating the newest technology along with consolidations to your existing equipment to reduce energy use and waste, lower your carbon footprint and cut your print costs. Regarding paper waste, small changes can make a big difference. 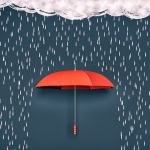 Getting your print environment under control can provide immediate and long-lasting benefits. Technology is available for electronic document management that can help reduce your reliance on paper significantly. An MPS provider can set up secure scanning and email systems that can properly archive your work, making it easily accessible and secure. Digital documents mean less energy, paper and toner use, and more money in your pocket each month. Plus, you’ll not only reduce waste, you’ll improve workflow! Interested in learning more about Managed Print Services? Give us a call to schedule a free, no-obligation print assessment to learn more! 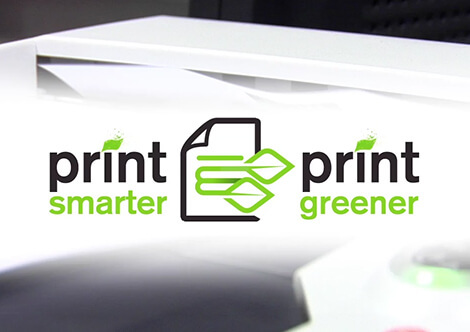 Check out our video for more tips on how you can Print Smarter and Greener!